Nutmeg Soaring has FAA-certified flight instructors who also have (variously) experience in cross-country soaring and contest flying. There is no charge for flight instruction for club members. Nutmeg's former Chief Instructor and most famous flight instructor, Soaring Hall of Famer and 2000 FAA Instructor of the Year - Rudy Opitz preparing a student for an instructional flight in our Grob 103. Note that Rudi passed away in the spring of 2010 and will be greatly missed by all that were fortunate enough to have known him. 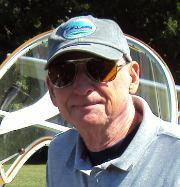 John has been a member of Nutmeg since 1964 and a glider instructor since 1966. A former TWA 747 Captain, John retired from commercial flying in 1985 and now pilots his ASW 24 when he isn't instructing. He currently holds an FAI Gold Badge with three Diamonds. John is also a former FAA Flight Examiner so along with being one of our most experienced instructors, he knows how to prepare students for their check rides (and then some!). Jeff joined Nutmeg Soaring in 1988 and began instructing in 1998. He earned the Silver Badge in a 1-26 and has been flying an HP-14 (VT) since 1992. A recent partnership in an ASW-24 has got Jeff excited about some new cross country flight planning. In the work-a-day world, he is Director of Sales for a document imaging systems integrator. Marty joined Nutmeg Soaring in 1967. He's held a Commercial Flight Instructor Glider rating since 1980. He holds an FAI Silver C badge with an altitude Diamond. He also holds the New Hampshire state absolute altitude record for gliders (26,100 feet). When he's not instructing, he can be found flying his family's ASW19B. 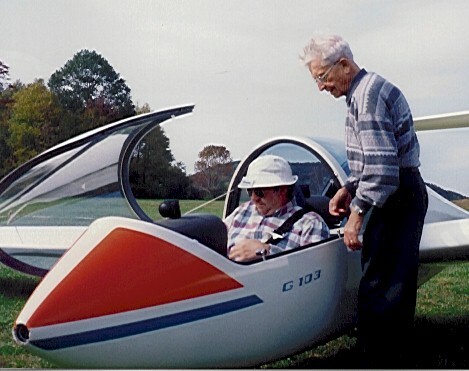 Mike Opitz has been around gliders his whole life. Starting with rides as a kid, Mike began lessons in May 1964 with Nutmeg at the age of 13 then soloed when he turned 14. 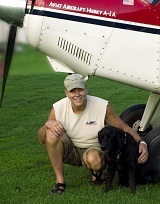 Mike earned his licenses at the FAA minimum allowed ages. With a B.S. in Aeronautical Engineering - Rensselaer Polytechnic Institute 1972, Mike spent the summer of 1972 as an intern working at the Schempp-Hirth glider factory in Germany. Serving with the USAF and Air National Guard as a fighter pilot from 1972 to 1995, Mike flew A-7D, OV-10A, and F-16 as instructor pilot and weapons officer; retiring as a LTCOL with 23 years of service. Mike's airline career spans over 35 years (16 years overlapping Air National Guard service) with Eastern, Northwest, and now Delta Airlines, flying: 727, A300, DC-9, DC-10, A320 aircraft. 1979- present. 1st ever Kolstad scholarship awarded 1968. Gold C with 3 diamonds #200 in 1971. Numerous top 5 national contest finishes. 1986 Standard Class National Champion. Selected to 5 USA National Teams, flying in 3 World Gliding Championships, finishing 2nd in Australia 1987. Mike is celebrating his 50th year soaring with Nutmeg in May 2014. Bob got his private pilot rating in 1968 at Ft Sill, Ok from an Army flying club just prior to his tour in Vietnam. His Commercial and Multi Engine rating followed in 1978 and commercial glider in 1989. His glider instructor rating under the tutelage of Wally Moran took place in 1998 when the club operated out of Candlelight Farms Airport. When not instructing, he can usually be found towing in one of the clubs tow planes. Randol's flight training in college ROTC using Aeronca 7AC Champs earned a Private certificate in 1959. After graduation in 1960, he entered USAF Pilot Training at Bainbridge AB, GA and later at Craig AFB, Selma, AL as a 2nd Lieutenant flying the Beechcraft T-34, Cessna T-37 and Lockheed T-33 finishing that training in 1961 and the USAF Flight Instructors Course flying the T-33 in 1962. As a USAF Flight Instructor and Check Pilot in the T-33 and T-37 and as a civilian flight instructor he spent another 4 years instructing at Craig AFB, AL. In 1966 after transition at Hurlburt AFB, FL to the Douglas A1E Skyraider he did one combat tour based in Thailand, flying exclusively in North Vietnam and Laos as a combat pilot and instructor and check pilot in the A1E. Returning from SE Asia in 1967 he joined Pan American Airways as a pilot/navigator, later as flight engineer, copilot, captain and instructor in the Boeing 727, 707 and Airbus A310. In 1991 after merging with Delta Airlines he flew the A310, Boeing 757/767 and Lockheed L1011. Glider flying began in 1967 in California and continued with Nutmeg starting in 1999, finishing the Silver Badge in 2001 and instructing and towing at Nutmeg since.